I grew up in Phoenix, Arizona, and graduated from Stanford University with a degree in English/Creative Writing. After five years in the Bay Area, seven years in Seattle, and six years in Claremont, California (meanwhile raising two children), my husband and I happily settled in Boulder, Colorado. Though I love to travel, the Western skies always call me home. In Boulder, I landed a job at Delicious Living (the consumer magazine for New Hope Network and the Natural Products Expos) in 1998, worked up to the senior food editor role in 2001, and became editor-in-chief in 2012. (Visit my LinkedIn profile for more.) I can hardly believe how lucky I was to work at the heart of the natural lifestyle industry for so long — the people, products, and passion never fail to inspire me. During my tenure I also rode the wave of media reinvention and “digital first” content creation, a fascinating evolution. In March 2015, I embarked on a sabbatical to recharge and figure out what’s next. (Read my farewell blog here.) Now I’m happily running my own business as an editor, writer, and consultant. Our terrific kids are now adults (see our clan at right). 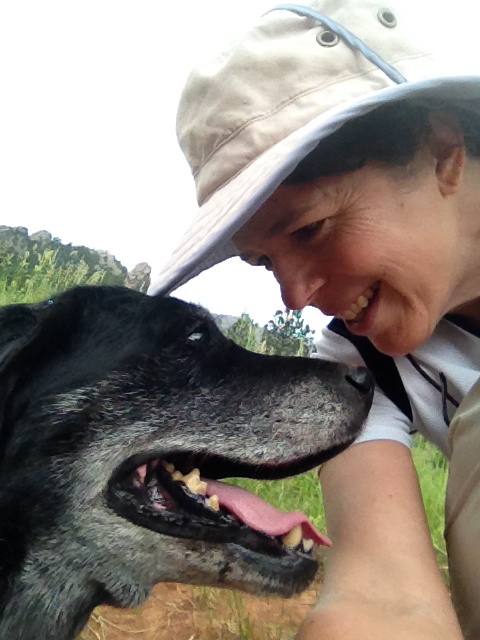 I regularly hike in the hills near our home … formerly accompanied by Lucy, the sweetest black Lab in the world (below), who passed away peacefully by our side in February 2016. Traveling is high on my list of things to do — any location with good food (so, anywhere). I’d especially like to visit Italy, Australia, and anywhere in Asia, as well as to revisit Costa Rica, my mother’s native country. Aside from cooking and eating, I enjoy reading, yoga, and singing. As a longtime church worship leader and trained prayer minister, I also serve as a licensed, nondenominational chaplain at four memory-care and Alzheimer’s communities in Boulder County. For more information on my work with elders, please visit Spiritual ElderCare. I am a former member of the Colorado Chapter of Les Dames d’Escoffier and an alumna of the Stanford Professional Publishing Course, July 2008.